Meridian Environmental Ltd provide support to many different types of organisations within the commercial sector. Covering Dorset & the surrounding counties from single retail outlets to shopping centres, local authorities, schools and office complexes. We offer a fast professional service. 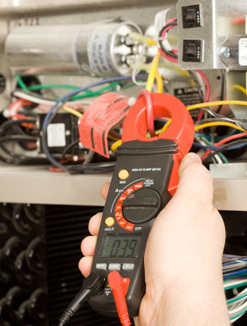 We carry out electrical installation, maintenance, testing (EICR). We can also help with mandatory testing if required (e.g. emergency lighting testing, fire alarms), lighting and general facilities maintenance. We also specialise in access control systems (door entry/intercom) installation and maintenance. We have a great track record when it comes to the industrial & commercial sector and this is proved through the various successful jobs completed for many different clients over the years. From car parks to industrial units control wiring to specialist power & lighting we have done it all. The above are just some works undertaken by ourselves. We employ local reputable companies to carry out specialist works where necessary.